Metal fans! This year's Ticket To Rock is here and it's more epic than ever before! 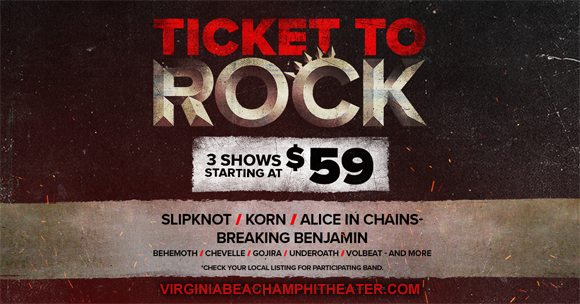 With a mighty line-up of some of the most biggest rock and metal bands on the face of the planet, this year's season ticket gives you access to Korn & Alice In Chains, Slipknot, Volbeat, Gojira & Behemoth and Breaking Benjamin, Chevelle & Three Days Grace, all coming to Veterans United Home Loans Amphitheater this summer! Hurry – only available until Thursday 16th May 2019!